When dating, it can sometimes be a little baffling to us as to why someone is interested in dating us. Here’s how to build up your confidence and know what you deserve. When dating, it can be a big confidence boost if you find someone who is into similar stuff to you. We often find it hard to talk to others about topics we are not quite so knowledgeable about so it is always handy if we meet someone who knows a thing or two about something we are passionate about and are also able to hold a conversation. Passion for something will often take over and your shyness gets put to one side as you reason as to why you feel this particular way or that way. Knowing that someone is interested in what we have to say is great for the ego. Best way to get a girlfriend is to make as many approaches as possible, until you succeed. 95% of guys who ask Google why can’t i find a girlfriend merely make too few attempts. An average guy approaches a girl and gets rejected. Then he waits for half a year to try again. Fear of rejection may hold you back, but reiteration is literally the best way to get a girlfriend fast. Walk up to a girl you like no matter which circumstances you may find yourself under, have a quick chat and ask for a phone number. If you perform the above sequence of actions enough times, you’ll definitely get a date, which is the confident preerquisite for everything else. Probably you have an unclear silhouette of a perfect girlfriend in your head. Perhaps, you even may describe her characteristics. Are you sure such a person really exists? You ask a girl out for coffee. She says No. She says she’s busy. Then you give up. What if I told you, she might be actually busy that evening. Why don’t you try again in a week or two? Intersexual relationships may be tricky sometimes. No means Yes, and all that. But why don’t you make one more attempt just to make things clear? 4 You live with parents in your late 20s. You can afford living on your own, but you do not move out because you’ve chosen to stay in comfort conditions of parental home. This is a big red flag for most women, who may consider you as an eventual boyfriend. If you have income which covers your basic needs in food and room, think of moving out of your parents’ home as soon as possible. Living on your own is among the best ways to get a girlfriend. Please, be aware of 9 worst tips for moving out of your parents’ house. 5 You are a “nice guy”. And it’s not a compliment. Sometimes it’s banal negligence that makes a girl not want to consider you as a boyfriend. This is quite a widespread excuse for no girlfriend. A man finds some flaw (which may not really be a flaw) in his body and focuses on it. The image of a handsome, finely dressed man is propagandized by companies, the only goal of which is to make you buy their products. If you take a walk along the street you may notice that there’re all types of couples. 8 You try to be the best and the most perfect one. People actually love imperfect ones. Read why. 9 You expect a girl to make the first move. You do not initiate social interaction. While there are cases when a woman initiates communication with the romantic purpose, there’re too few of them to be considered as the way things actually are. Most women still prefer a guy to approach them. These are just the rules of the game. 10 You hang out with the group of people who dominate over you, so your personality is not seen. It may happen that people you usually hang out with tend to relate to you as someone less important. Or someone whose opinion can be easily ignored. They may assert themselves at your expense. Such social group may be the cause why you cannot get a girlfriend. A woman sees that you occupy an inferior position among other males in your group. This fact makes you less desirable to her. People have a natural tendency to ruminate over their past. Sometimes you may remember some shameful public situation or a goofy mistake you made long ago. That’s OK. That is how we use our experience to achieve better results in the future. However, if you focus on the negative side of your past too much, you may start catastrophizing those events and bringing in unproductive definitions as always and never. The opposite extreme is to concentrate on your victories only. You may shape a self-image of a highly successful person who always wins, which is based on your thoughts and impression of your bygone days (not actual facts). This will result in unrealistically high expectations, so every failure you’ll ever experience, will cause unnecessary pain. In the case of getting a girlfirend problem, you may dwell on one regular rejection too heavily, and come up with a delusional idea, that your next attempt will end the same way. Or, when you were in the elementary school, you were popular among the girls — usually they made the first move. Now you project those events onto the current circumstances. So when you do not get desired results, you get confused and unhappy, because your expectations were not met as you thought they would. You find a flaw in every girl you meet. I’m pretty sure, you’ll find a drawback or too in The Princess you’re waiting for as well. All people have one or another negative aatribute, you including. Perhaps, it’s just defensive mechanism, or you really do love studying/working so much that you completely ignore other areas of your life. 17 In the beginning of an acquaintance you do not state clearly that you see the girl as a romantic partner. So you find yourself in the friend zone eventually. 18 You wait for the perfect moment when you feel emotionally, financially, physically great to approach a girl (which never ever happens). You believe that public success, fame, money will make girls longing for spending a date with you. Partly it’s true, but it’s unlikely it will get you the girl you really want. 20 You build walls instead of bridges. You avoid straight ways like simply walk up to a girl you like and say Hi. You come up with messy plans how to get that girl. However, you will not get any score for the original approach. You delay the results you want, and it’s just ineffective. 21 Too much of glamour inside to meet a real life girl. You’ve seen too many photoshopped pictures and watched too many polished videos and anime to be attracted to a real woman. 23 Some girls find you attractive. You miss those opportunities. 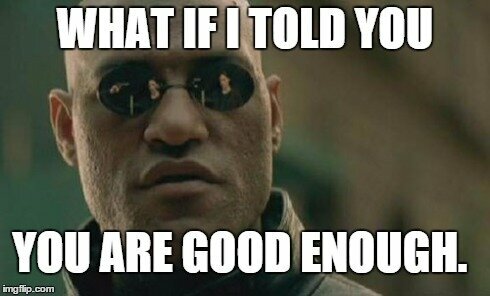 They aren’t good enough for you, are they? 26 You read and theorize way too much. You want to know how things work before trying them first-hand. 31 You’ve built a fake image of yourself and are trying to sell it. You present yourself as rich when you’re broke, as confident when you are not, etc. 32 You do not think for yourself. You rely on someone’s else experience and opinion, this list including, instead of getting your own hands-on results. PS: My reply to Your eventual doomed comment. Don’t Screw Up that First Message: 5 Tips To Make Sure You Get A Date! We’ve talked a lot about dating on this site, but something we haven’t talked about is how to get that date to begin with. I am not good enough – a common excuse for inaction, isn’t it? It doesn’t matter what area of life we’re talking about. This excuse is universal. It may take different shapes like “I’m not ready” or “I am not prepared”, but it’s still the same.